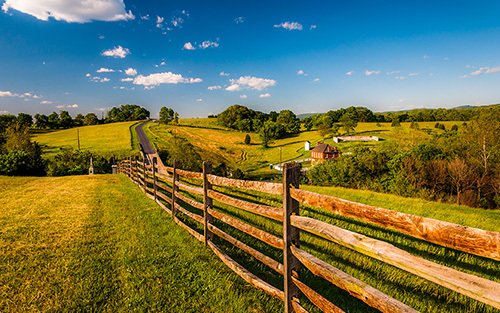 Located just about 30 minutes away from Nashville, the county of Dickson offers the perfect laid-back lifestyle among a rural setting. This county is an ideal one for those who wish to pursue a quiet daily life without abandoning the access to city amenities entirely. Dickson County is home to one of the largest state parks in the state, Montgomery Bell State Park, as well as various historical sites, golf courses, shopping centers and more. According to statistics from the U.S. Census Bureau, the population of Dickson County was around 50,575 as of 2014. As Nashville continues to grow, the community has seen more desire and demand from people who wish to live a balanced city and rural lifestyle. With Interstate 40 and State Highways 46, 47, 48, 70 and 96 all within close proximity as well as Interstates 24 and 65 within about 30 minutes, approximately 76 percent of the major markets in the United States within a day’s drive. Business is thriving in and around Dickson County, making it a great place to settle down and start a company or find a job at an established company in the area. According to information from 2012 from the Nashville Chamber of Commerce, the top employers in Middle Tennessee include Vanderbilt University & Medical Center, HCA, St. Thomas Health Services, Nissan, Wal-Mart, Kroger Company, Ingram Industries and Electrolux Home Products. Higher education in Dickson is prominent and of high quality. Residents have access to a number of higher education options as well as specialized training programs. Some of the options for residents here include Nashville State Community College, Freed-Hardeman University, the Tennessee College of Applied Technology and nearby Vanderbilt University and Belmont University. One of the top reasons why home owners come to Dickson is its proximity to nature and rural living. Chock full of towering trees and vast greenscapes, Dickson’s landscape proves that you can be within arm’s reach of a major city without living among its hustle and bustle every day. Montgomery State Park in Dickson is one of the most stunning natural settings in the state. This park was once the center of the iron industry when it was a very lucrative industry. The park is also home to nearly 19 miles of trails spanning through the park and a par-72, 18-hole golf course. Residents of Dickson will find a number of things to do, in areas such as Montgomery State Park that hold a historical value in the community. The Broadway Drive Inn Theatre is one of those attractions as well. Built in 1950 and family-owned and operated, this theater has been the host to music video sets over the years for country greats like Rodney Atkins, Hank Williams Jr. and Vince Gil. Dickson is also known for its agriculture and agro-tourism industry. For residents, this means they have access to a plethora of local produce and other goods, helping to fuel the local economy.